I guess the White Sox centerfielder could be excused for his Yogism after he had a lot to do with the White Sox’s rare laugher this afternoon as they blanked the defending American League champion Rangers, 10-0. It was a banner day for the beleaguered Rios both at bat and in the field. 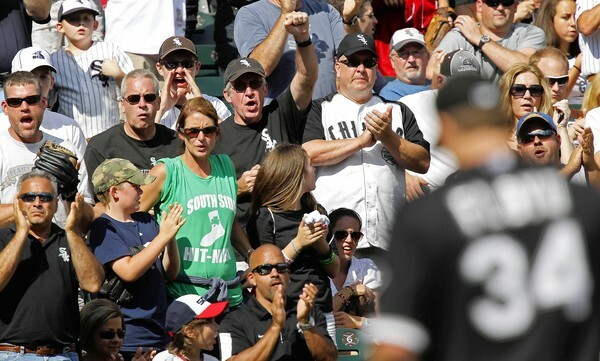 –The South Siders scored 10 runs on 16 hits. –Homers were cranked by Rios and Brent Lillibridge. –A three-hit day was enjoyed by Lillibridge while Rios, Juan Pierre, Paul Konerko,Tyler Flowers, Alejandro De Aza and Gordon Beckham had two hits apiece. The only Sox player without a hit was Alexei Ramirez, but he scored a run after drawing a walk. –Other offensive highlights included a three RBI day by De Aza, two apiece by Pierre, Lillibridge and Rios and Flowers’ three runs scored. —Gavin Floyd was outstanding as he won his 11th game. In seven innings, he gave up just three hits and a walk with six strikeouts. Chris Sale pitched a scoreless eighth and Jason Frasor struck out the side in the ninth. –The only blemishes were the two errors, one by Lilli and one by Alexei. With the victory the Sox are back at .500. They remain five games in back of the Tigers and are now just a half-game behind the Indians. Sox Note of Note: It’s likely that Carlos Quentin won’t be back in the lineup until the end of the week at the earliest. The possibility of him being put on the DL is still there with Dayan Viciedo waiting in the wings. Is Viciedo on the Way?